In an area marked ‘wild grass sculpture garden’ on the floor plans, only gravel and sand can be found. A construction curtain blocked the view, and labourers wearing safety helmets rushed to and from the site in front of the museum. The entrance was filled with the dust produced by concrete mixers and trucks. Factory Block-2, one of the main buildings of the tobacco processing plant has now been transformed into the National Museum of Modern and Contemporary Art (MMCA) Cheongju, yet, Factory Block-1, which lies just adjacent, is still bustling with the construction of the urban regeneration project. At the intersection between the two factory blocks, a large banner had been hung, signaling the official opening of the museum the next day. That day, MMCA Cheongju hosted a press conference. They explained the Cheongju branch, which was followed by a question and answer session. Several questions were posed about the seemingly hurried situation of opening the museum before the surrounding facilities had been completed. Park Wijin (acting director, MMCA) revealed that ‘this project was executed with Cheongju local government as part of an urban regeneration project’ and that ‘the sculpture garden in front of the museum, as well as the square, the rear parking facilities, are still awaiting completion, with the date set at around June 2019 when Cheongju city’s urban regeneration project will also be complete’.​ He also explained that a digital archive for the research of information on artworks and a Larchiveum (library, archive and museum) as a research space, as services to aid in the active observation of visitors, were also in preparation. 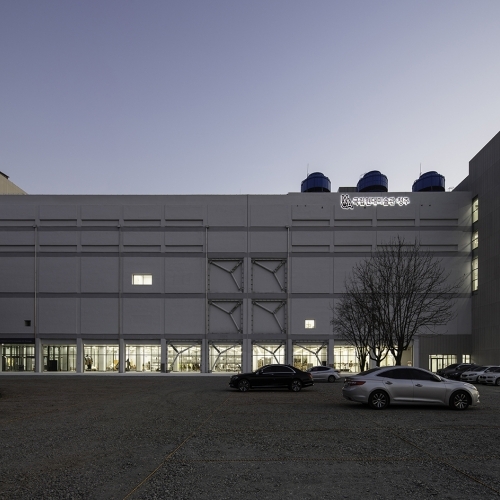 MMCA Cheongju was the project that started with the inauguration of the 18th director of the MMCA in 2012. 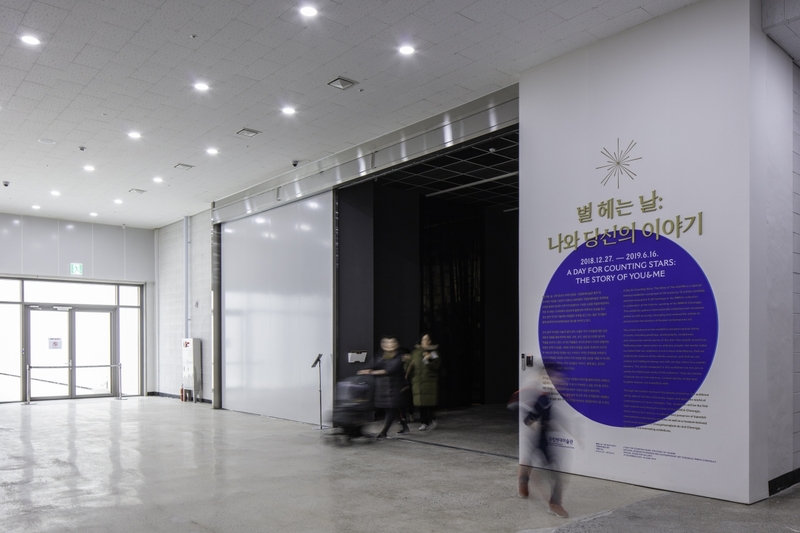 The construction of a National Art Preservation Centre was proposed as one of the foremost agendas of the director’s term, which was followed by the adoption of the Memorandum of Understanding (MOU) the Construction of the Cheongju subsidiary of the MMCA with the city of Cheongju. The MOU outlined that Cheongju city would provide the buildings of the tobacco processing plant for free, while the MMCA would remodel the space and use it as a subsidiary branch. In the research project, for the operation and planning of space for the National Art Preservation Centre (2012), commissioned by the MMCA at the time, the aim of the construction project was to provide ‘a spatial infrastructure to support the stable preservation the value and maintain artworks as a national artistic heritage site’. 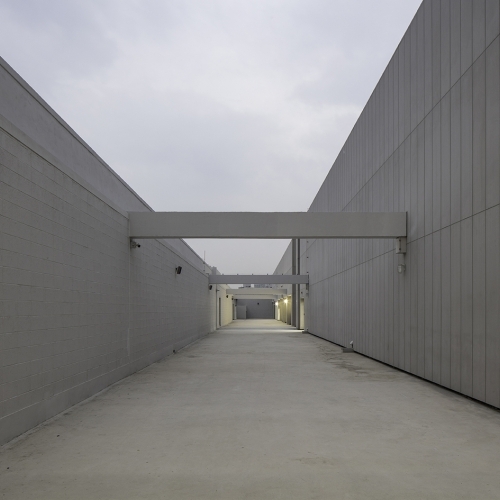 Not only were the Gwacheon and Yeoju storage spaces almost full, but there was also a gathering consensus around the need for a facility to systematically store and maintain artworks just before the opening of the MMCA Seoul in 2013. The Cheongju design competition took​ place in Oct. of the same year. 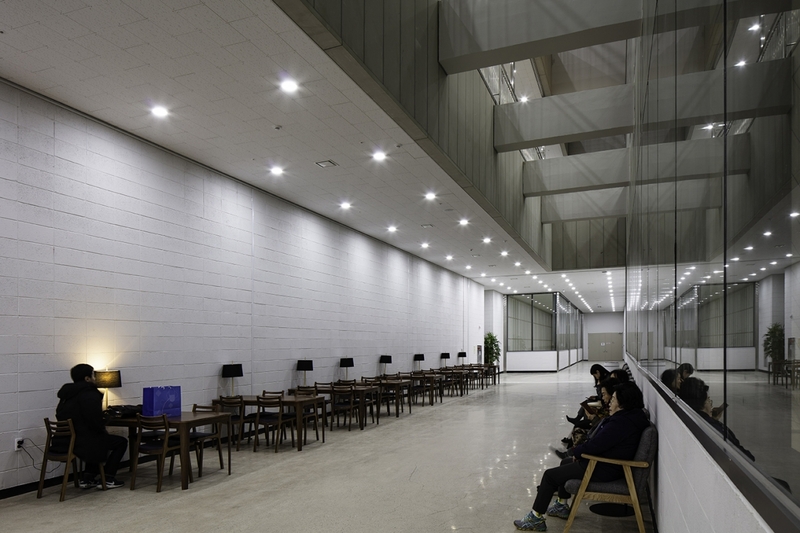 The MMCA Cheongju is a facility that is remodeled from a 120m long and 33m wide, five storey building. This factory, where factory workers used to pack cigarettes, does not possess eyecatching remnants of the past that can be found in other industrial heritage sites, such as bunkers and incineration plants. The architectural design is simple, with a column and beam structure, and the building itself can hardly be​ defined as a work of modern heritage that retains historical traces. However, the tobacco processing plant was once the workplace of over 3,000 factory workers, as one of the representative industrial branches of Cheongju, which produced cigarettes widely exported abroad. By guarding its place for over half a century, the plant located itself in the memories of the local people, revealing its existence just by surviving over time. 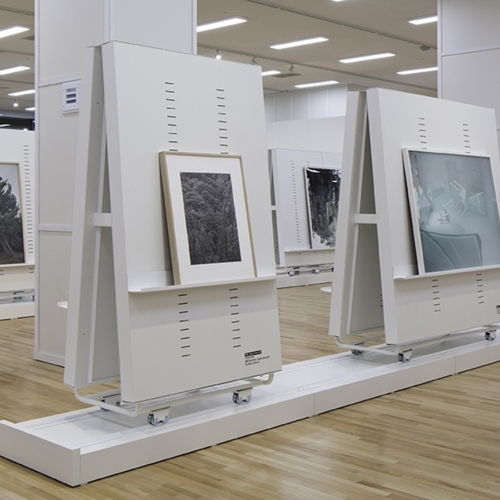 As the MMCA Cheongju’s main programme, open storage can be found on the first floor. The boundary wall of the first floor, an adopted glass screen, was setback, establishing a cloister-like space and the facade of a gallery. Descending from the upper levels of the building, the column structure finally reveals itself at ground level, giving the impression that the structural order of the building only remains part of the facade’s decoration. With stronger natural light than the internal artificial lighting, rendering the glass wall no longer transparent, only the row of columns that compose the cloister stand out. Unlike the present, where a solid wall has been constructed to the rear of the first floor, due to threats of the theft of artworks, the earlier plans determined glass as the main material for the first floor walls. Establishing visual connections between the front garden, open storage and rear garden, to introduce a row of columns in the existing building would reveal the structural order​ of the tobacco processing plant, and choreograph a visually impressive scene. The open storage programme passes through the first floor to the fourth floor. A diagonal wall was inserted on the lower levels of the open storage, cleaving open the mass of the open storage space and the existing building to expose the interior. This approximately 3m wide void, which continues from the ground floor up to the fourth floor, can be seen from the second floor resting area for visitors and the third floor bridge. Despite being able to see the first floor open storage space through this gap, it is too narrow to see the entirety of the structure. The open storage mass was initially placed at the centre of the building. Moved to the side due to revisions to the plan, the row of columns has descended onto the outer side of the corridor. As a result, the attempt to spatially reveal the grid system of the existing building could not been realised. 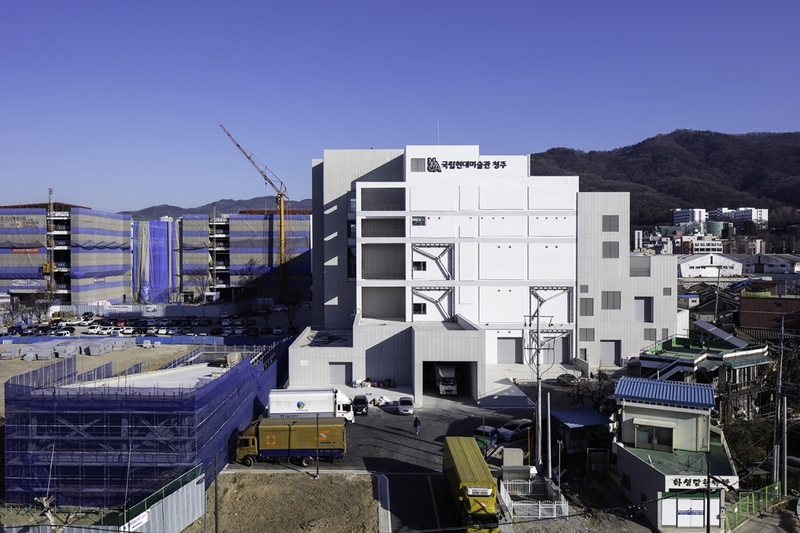 Turning towards the external spaces of the facility: here, the entirety of the tobacco processing plant site has today in Feb. 2019 been dedicated to the ‘Cheongju former tobacco processing plant urban regeneration project’. The Factory Block-1 and its facilities surround the internal courtyard with the MMCA Cheongju. Cheongju local government envisioned remodeling these facilities to ‘host the business center, hotel and complex cultural leisure facilities’ and to ‘revitalize​ the aging old city center as a sub-center of cultural administration’. After the plan was announced in 2016, the attempt to attract a private sector enterprise failed, and currently only the reorganisation of the basic facilities such as the entrance and the parking lot, and the remodeling of the Factory Block-1 has taken place. The MMCA Cheongju building, Factory Block-2, was once connected with the surrounding facilities. 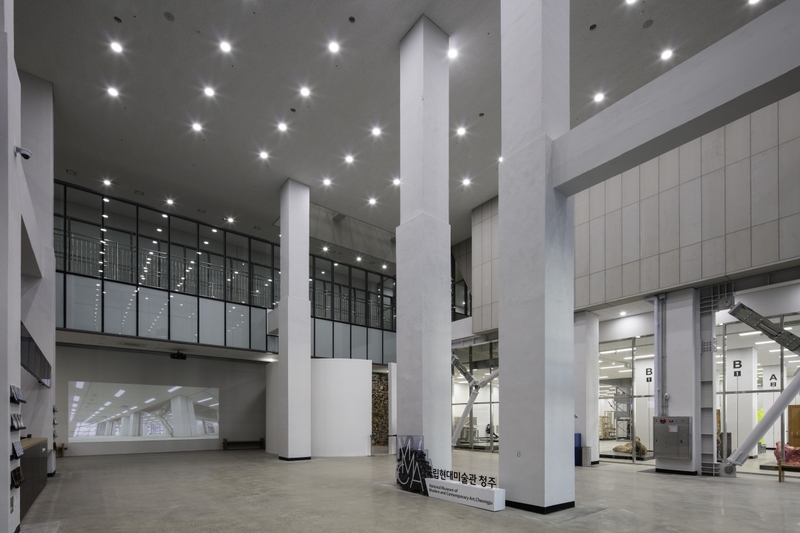 Even during the 2011 Cheongju Craft Biennale, when its spatial structure was preserved, visitors were able to have extensive experience of the internal and external spaces of this old industrial plant. The MMCA Cheongju has now become isolated from Factory Block-1. Only an entrance, elevator and stairwell, that allow one to enter the soon-to-be-completed surrounding facilities, have been provided. While the integration of the entire site through the cloister, which was highly commended in the design competition, exists on the design plans, it is uncertain how it will be realized. The right for the winner of the design competition to participate in the ‘counsel of the design and construction of the surrounding plots’ have not in fact been realised. With regards to this link between the facilities, the MMCA has said that this surpasses their realm of responsibility. The Cheongju local government only replied with the theoretical remark that ‘things will run more smoothly once the urban regeneration project is complete’. At this point in time, when a specific relationship must be established between the MMCA Cheongju and the tobacco processing plant, the absence of a critical control tower to mediate the current situation is even more of a threat.